Inaccurate location information can have tragic consequences for PSAPs. NG9-1-1 has the solution. NG9-1-1 call handling and management systems use location data from multiple sources, including GIS and third-party databases, that offer device-based location data. However, these solutions can also provide PSAPs with even more detailed location information by incorporating floor plans and venue layouts. 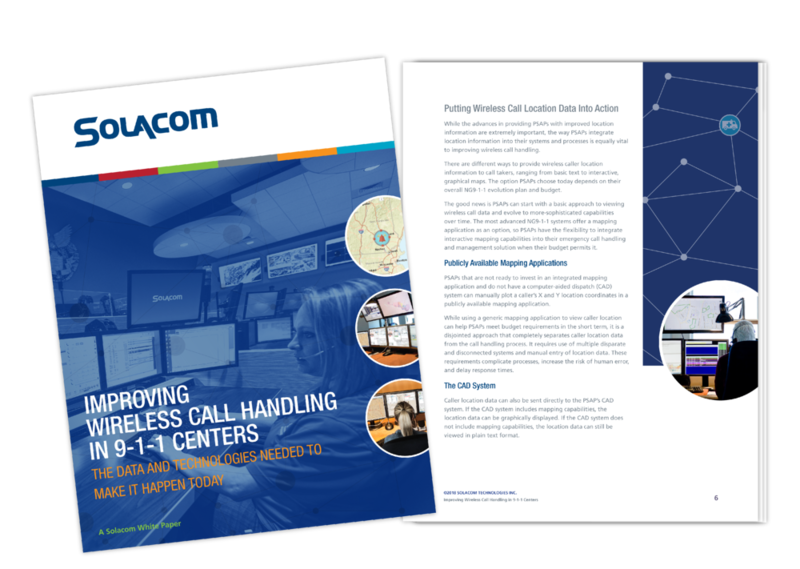 Download the white paper to explore how NG9-1-1 call handling and management systems provide PSAPs with the best location information to optimize for wireless call handling. © 2018 Solacom. All Rights Reserved.